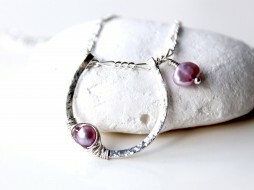 Home > Necklaces > Amethyst leather and sterling silver necklace. Category: Necklaces. 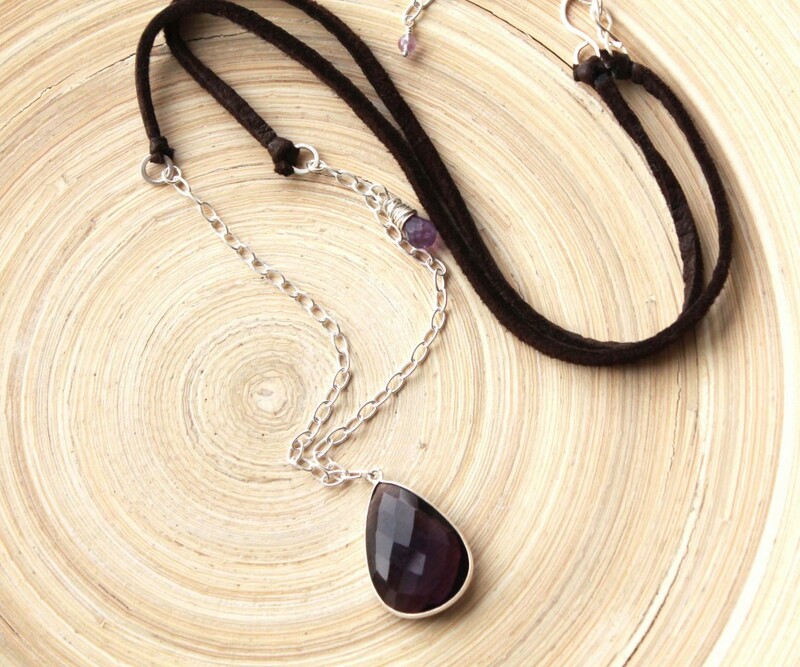 Tags: Amethyst and silver, amethyst necklace, artisan handmade, artisan jewelry, Asymmetrical, Birthday gift, deerskin leather necklace, EverywhereUR jewelry, fast shipping, February Birthstone, gemstone and leather, genuine Amethyst necklace, gift for her, gift packaging, graduation gifts, handmade necklace, jewelry handmade, leather and Amethyst, leather necklace, long layering, long necklace, made in canada, modern necklace, mothers day gifts, one of a kind, online jewelry store, purple gemstone, sterling silver, teacher's gift, teardrop pendant, womens jewelry. 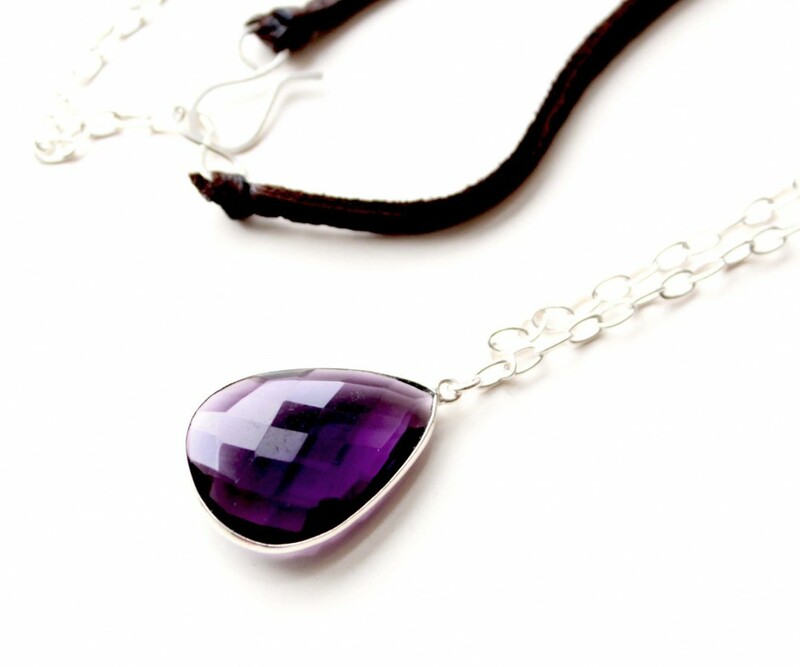 © Amethyst leather and sterling silver necklace – February birthstone. 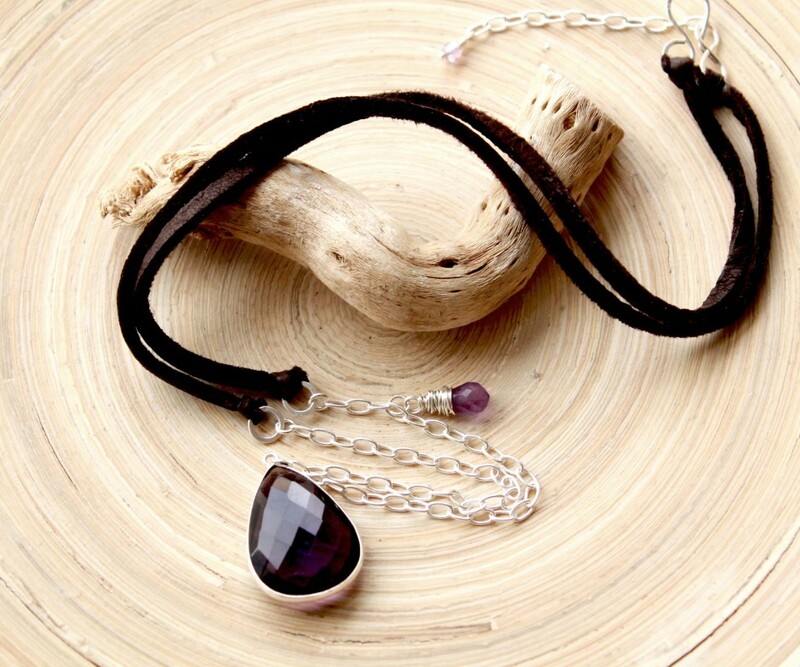 Amethyst necklace genuine deer leather. 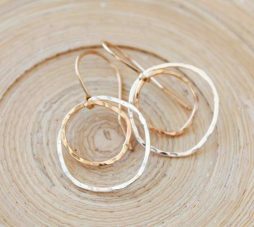 Artisan unique jewelry. 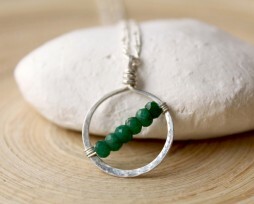 Birthstone gift for her. Graduation gift. Holiday gift idea. 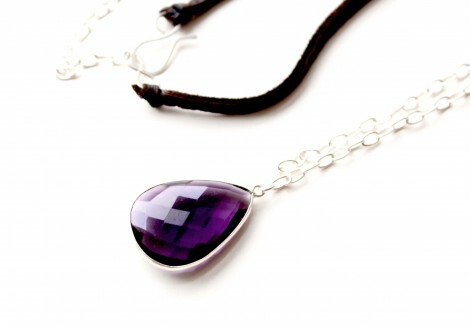 Natural Brazilian Amethyst pendant, pear shape, is 21 mm x 25 mm big in sterling silver settings. Brown, soft deerskin leather and sterling silver chain. 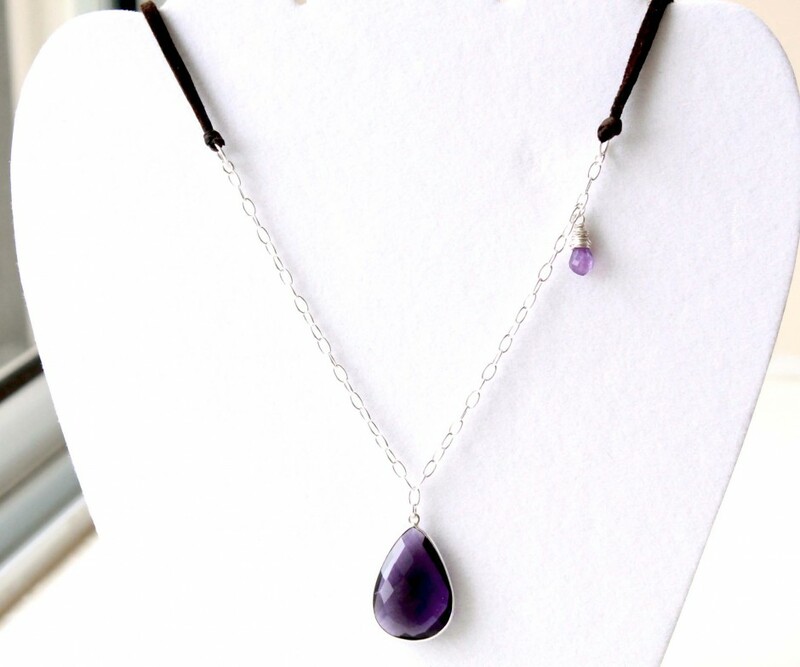 Another small Amethyst is attached asymmetrically to the chain, wire wrapped in sterling silver wire. 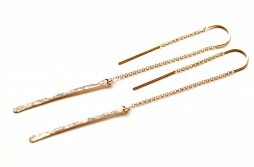 Necklace in 26″ long in total, without the pendant, with 2″ silver chain extension. Sterling silver hook handmade clasp. Amethyst is extremely protective and powerful stone with a high spiritual vibration. It guards against psychic attack and blocks negative environmental energies. This stone will help you to be more focused and productive, will improve your motivation, and will help you with decision making. 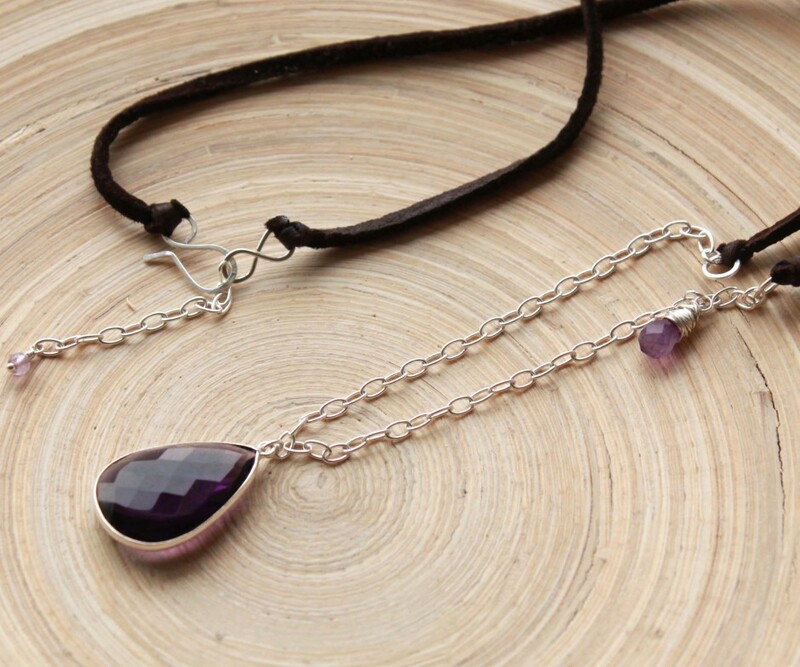 Emotionally, amethyst is used in crystal healing to help heal personal losses and grief, bringing one gently past. It also is said to bring emotional stability and inner strength. This stability and strength not only helps one hold firm in one’s life, but it can enhance flexibility and cooperation. To be flexible at need is a sure sign of strength.